What is this mystery OnePlus smartphone? The FCC has received details of an as-yet unannounced new handset. Filings with the US Federal Communications Commission have revealed that smartphone maker OnePlus is busy readying a new phone - but what exactly will it be? According to TrustedReviews, the phone is not expected to be a direct update to the OnePlus 2, its current flagship handset which was only just released back in August - so those hoping for a OnePlus Three will have to hold on for a little longer. The new phone though is tipped to be similar with a 5.5-inch display and a 1.9GHz processor. Interestingly though, the camera is being repositioned into the top corner of the device (like an iPhone) rather than being kept in the centre. Similarly, the rest of the body does appear to be reminiscent of the flat, rounded design of the iPhone 4 and 5. The large screen on the device suggests that it is definitely not going to be the much-rumoured OnePlus Mini too - so this is an entirely new device. 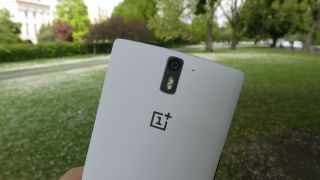 Since launching the OnePlus One last year, the Chinese firm has made waves in the phone industry. Rather than selling its devices through normal shops, it has instead retailed handsets directly using an invitation system, and it is through this strategy that it has managed to offer surprisingly high-spec devices and lower costs than competitors. Apparently the company has scheduled a media event for later today, where we could conceivably find out more about the device, so check back later to see if the company has said anything official.